Our home is in the Yarra Valley, where our neighbours make some of the finest wines in the world. So in 2015 we combined our Rare Dry Gin with some of the best Shiraz grapes in Australia to create our Bloody Shiraz Gin for the first time. And now each year we steep Yarra Valley Shiraz grapes in gin, de-stemming the fruit but keeping them mainly as whole berries. The tanks are kept cold and stirred daily. After eight weeks we press the fruit before blending with more Rare Dry Gin. 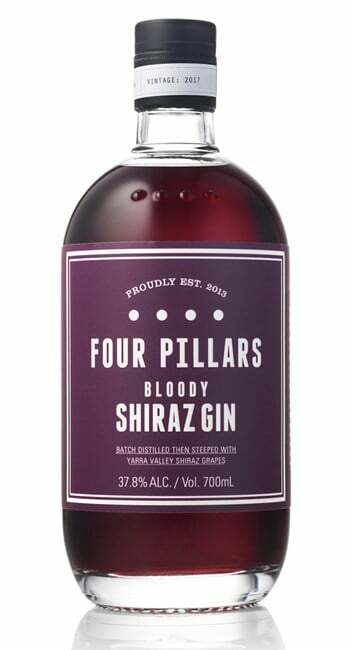 The beauty of Bloody Shiraz Gin being a product of vintage means that it will never be the same. Our 2017 release has an incredibly vibrant ruby colour, which turns iridescent pink when mixed with tonic or soda. Aromatically the gin has fresh pine needles and incredible spice, and a clear peppery, dense raspberry character. The palate is lovely and sweet, with long juniper and spice characters to finish. This release is slightly lighter in colour than last year’s, due to a cool vintage in the Yarra Valley with a moderate ripening period. 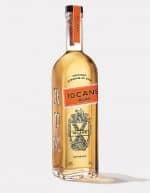 Unlike Sloe Gin, the alcohol is 37.8% (rather than <30%) so it packs a punch and is ideal in a range of cocktails. The gin is unfiltered, so it will develop secondary fruit characters beyond two years and is best consumed within two years of vintage.